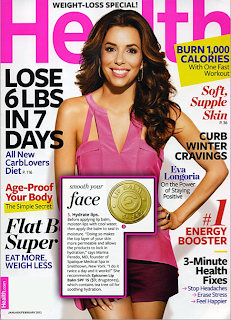 Epicuren Discovery's Lip Balm is recommended in the February 2012 Health Magazine for it's ability to keep lips hydrated. 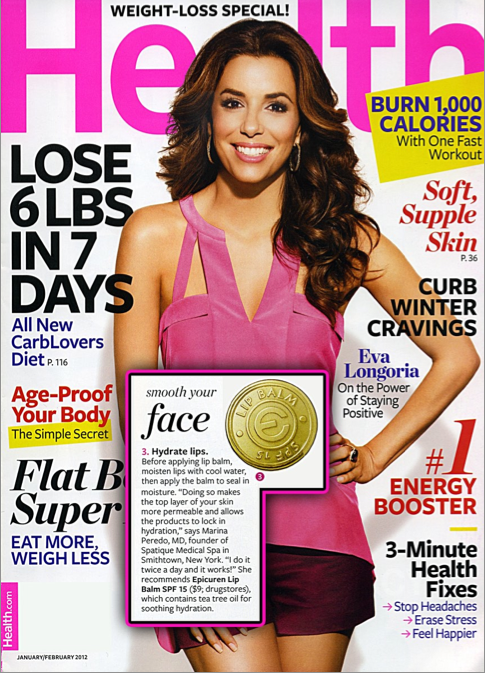 Marina Peredo, MD, likes it for the hydrating tea tree oil ingredient. Click here for more information on Epicuren's Lip Balm.